Presidency responds to statement made by the former President Olusegun Obasanjo – Royal Times of Nigeria. The Presidency has responded to the statement made by the former President Olusegun Obasanjo who described President Muhammadu Buhari’s government as a failure. 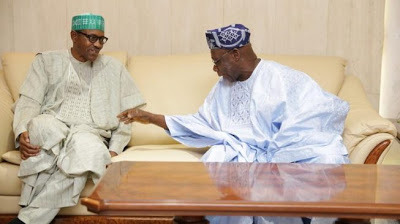 The Presidency said President Muhammadu Buhari would not take issue with former President Olusegun Obasanjo over his comment. He said Buhari would not engage Obasanjo who was his senior in the military. However, the presidential spokesman said since Obasanjo did not say anything different from what was contained in a letter he released on the administration recently, the response provided by the Federal Government then was still relevant.